Caudalíe, a brand I have learnt to really adore over the past year. Most of the luxury brands I have been introduced to are through my LookFantastic beauty boxes, these are subscription beauty boxes you get delivered to your door every month you can find out more ‘here’. Caudalíe, a French brand, a brand I fully trust, which is why I wanted to dedicate a post to them. They are so committed to helping the planet, mother and children and even animals and I have so much respect for a brand that actually stands for something more than just beauty and making the privileged feel good, they care about everyone, I like that. You can find out what they support ‘here’. The two products I am about to show I have previously sampled from my beauty box and I was gutted when they ran out, although they lasted a fair while, so I had to buy the full-size products. They currently have a little code ‘BOTTLE2018’ which they send you a free reusable water bottle when you buy 2 products from the vinosource range so I obviously had to, it’s so cute! This Moisturising Sorbet is unreal and yes it’s as hydrating and refreshing as it sounds. 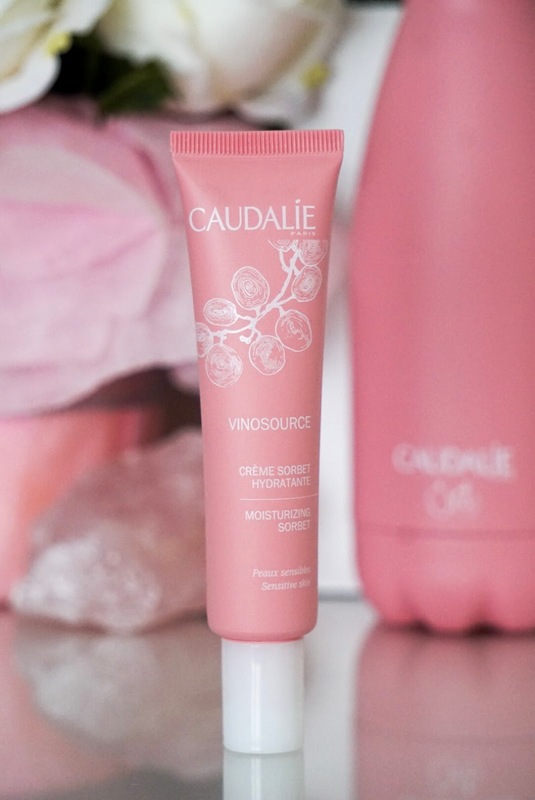 Matilda Thomas, the co-founder of caudalíe says she ‘wanted to recreate the feeling of pure joy when you bite into a grape packed with water and sweetness the vinosource sorbet’ and that couldn’t sum up this product up more it is so refreshing on your skin. It’s a cream to gel formula which soaks into the skin so easy due to it being so lightweight it reduces redness, soothes and strengthens the skin. I use this every morning and evening and I sometimes apply a thicker layer as a mask and after around 10 minutes I rub it all in for some extra TLC when my skin requires it. 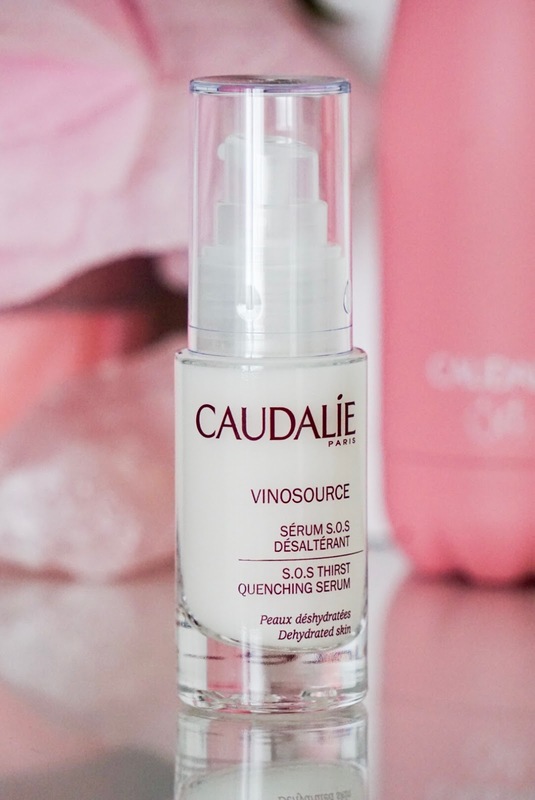 This S.O.S Thirst Quenching Serum is beautiful, again, feels exactly as it sounds. This lightweight, oil-free serum works wonders for my skin. I use this as a base every morning and evening and follow it with my moisturising sorbet. The two combined make my skin feel incredible, it absorbs super quickly leaving my skin fully hydrated and prepped for the moisturising sorbet it’s quite a watery formulation which I really love as it soaks right into the skin and hydrates it. I am so grateful for getting my first ever sample in my Look Fantastic beauty box otherwise, I probably wouldn’t have ever found this brand which has quickly become a firm favourite of mine. I really want to visit their spa in Covent Garden for a little pamper session! Have you used anything by Caudalíe before? What do you think? Don’t forget you can follow me on any of my social media platforms by clicking the follow links.